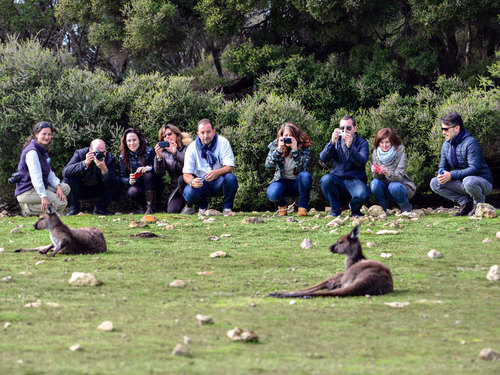 No South Australia tour is complete without experiencing the magic of Kangaroo Island. 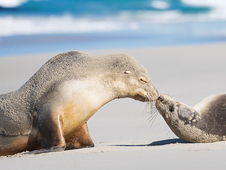 SeaLink's sightseeing program offers a choice of Kangaroo Island day tours and two day tours, showcasing many of the island's major attractions. Whether you're looking for relaxing tours, travelling in comfort and style or experiencing a little adventure, you'll find the perfect tour with SeaLink. 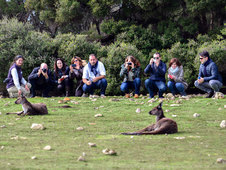 We offer fantastic day tours to Kangaroo Island with hotel pick-ups and set-downs from many Adelaide and Glenelg hotels, including the 1 Day Kangaroo Island Experience day tour, one of South Australia's most popular tours. 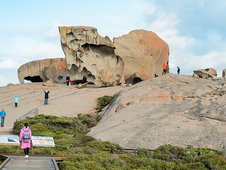 If you have a little longer, we also offer amazing extended stay tours to the island, including the 2 Day / 1 Night Best of Kangaroo Island tour or our NEW 2 Day Food, Wine and Natural Wonders of Kangaroo Island. With all of our multi-day packaged tours, you'll stay in some of Kangaroo Island's best accommodation from Private Lodge rooms to 4-star luxury hotels. If you are looking at travelling in a larger groups, which may involve chartering a coach, we can help you. From $185pp. See all the major sights in our most popular 1 day tour Kangaroo Island - Selected Adelaide & Glenelg hotel pick up/set down with return travel to Kangaroo Island, either by coach/ferry or air. From $190pp. 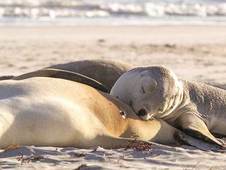 Kangaroo Island's most popular attraction Seal Bay with stops at other highlights along the way. Selected hotel pick up/set downs with return transfers and ferry or flights. From $190pp. 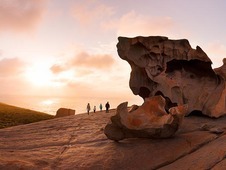 Experience some remarkable attractions on Kangaroo Island on this day tour: Remarkable Rocks, Admirals Arch, Clifford's Honey Farm and Hanson Bay Wildlife Sanctuary! From $1222pp departing Adelaide. See kangaroos, koalas and wonderful native birdlife in their natural habitats, wander past wild Australian sea lions, enjoy a gourmet style picnic lunch in a unique Australian private bush setting and visit Flinders Chase National Park, Cape du Couedic Lighthouse and the spectacular formations of Remarkable Rocks and Admirals Arch. From $1229pp. Join your host Shirley Tamm on this wonderful 4 day escorted and fully inclusive tour, showcasing many of the unforgetable highlights that Kangaroo Island has to offer. From $1919pp. 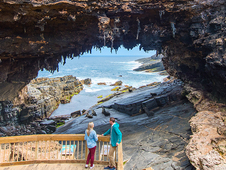 Join your host Shirley Tamm on this wonderful 6 day escorted and fully inclusive tour, showcasing many of the unforgetable highlights that Kangaroo Island has to offer. 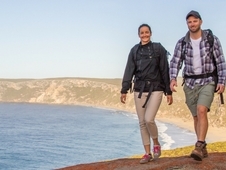 The Kangaroo Island Wilderness Trail is a new world class experience that covers 61 kilometres over 5 days of walking, with access to some of the most rugged, remote and spectacular coastlines in South Australia. Choose between a 2 or 3 day fully inclusive package featuring a guided walk along sections of the KI Wilderness Trail.